WaveForms Live provides a graphical user interface for configuring network adapters on WaveForms Live compatible devices. 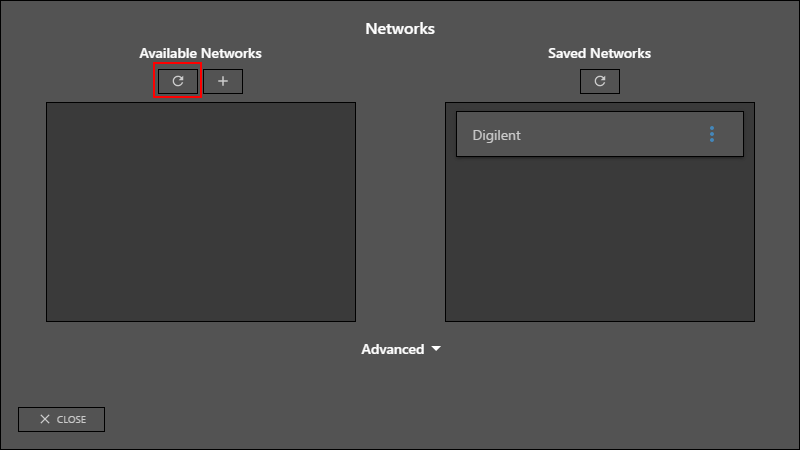 When configuring network adapter settings it is recommended to connect to the device using the Digilent Agent, however some, but not all, network settings can be changed while connected via Wifi or ethernet. Add the device to WaveForms Live. 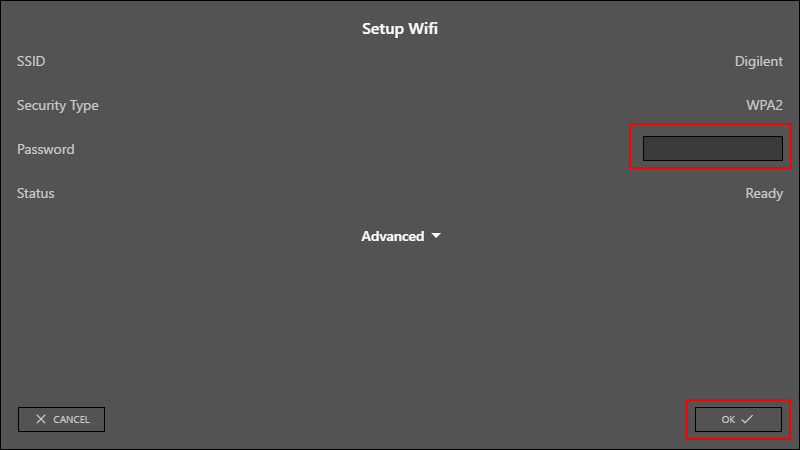 Under the Wifi Settings section click Setup Wifi. Under Available Networks click the Refresh button to scan for available networks. After a few seconds a list of available networks is presented. The network information is presented. Enter the network password or keys and click OK to continue. The device will connect to the specified network and the network will be displayed in Saved Networks section. Saved networks are set to auto-connect by default and the device will attempt to connect to the network next time it boots. 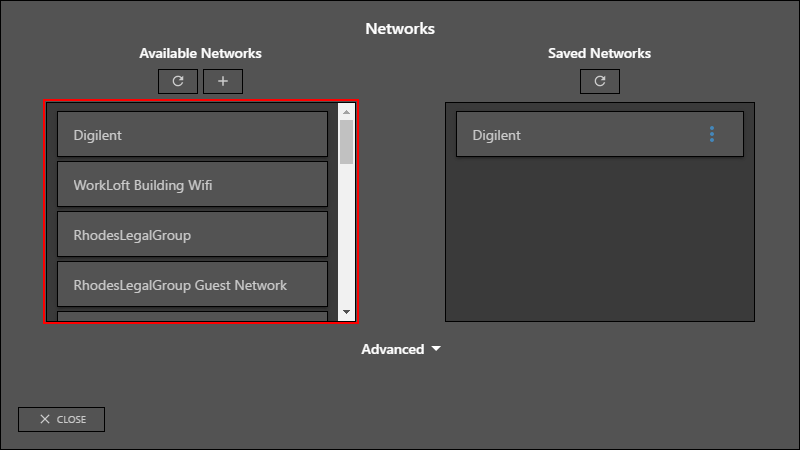 Click Close to close the network Setup Wifi wizard. Click Connect to refresh the device information. 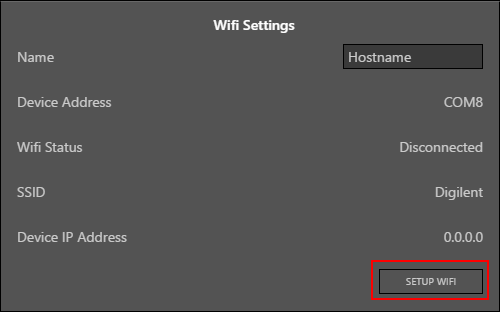 The new Device IP Address is displayed in the Wifi Settings section. 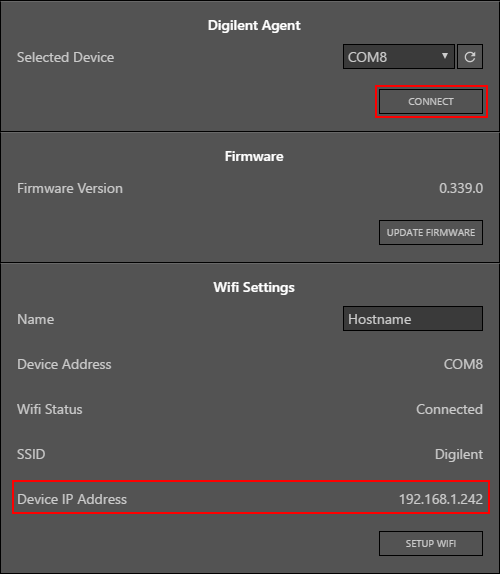 The device is now connected to the Wifi network and can be added to WaveForms Live as a network device or using the Digilent Agent.